Dr. Hak Soo Bae DC, Flushing Chiropractor, Bae Chiropractic, P.C. 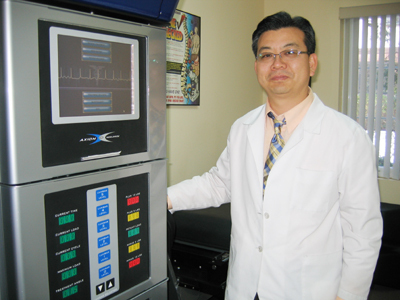 Dr. Hak-Soo Bae graduated with honors from New York Chiropractic College in 1997. Since then, he has had more than 19 years of diverse experiences, especially in chiropractic practice. He strives to treat each patient with the utmost compassion and provides options to cater to the patient's needs. Dr. Jon Stanciu MD is an internal medicine and ultrasound specialist working in Brooklyn, NY. He received his medical degree from the University of Medicine and Pharmacy in 1998 and has been practicing for 20 years. Dr. Stanciu is affiliated with Montefiore Medical Center, New York Presbyterian Brooklyn Methodist Hospital and Westchester Medical Center. Mr.Basilio E. Lopez, PT is a physical therapy specialist in Woodside, NY. He graduated in 1999 and has 19 years of experience in the physical therapy field. Mr. Lopez, PT cooperates with other doctors and medical groups including Bel Rehabilitation PT. Hanna Hwang, FNP is a nurse practitioner working in Montefiore Medical Center. She specializes in Dermatology and Internal Medicine. She is currently pursuing her doctorate at Pace University.